Partition Managers are the need of some people every time and everyone sometimes. Especially when you get a new PC and you want to make partitions on it on your own easily. Partitions can be made by Windows Disk Manager and at the starting of Windows setup when you install new Windows. 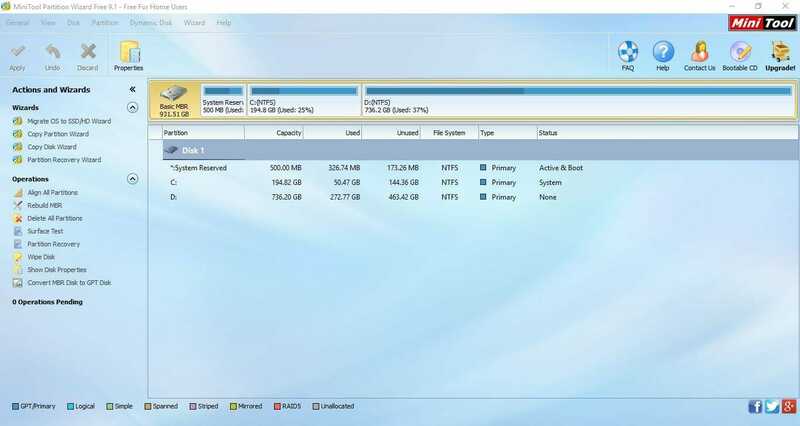 But there are some limitations like you cannot join an unallocated partition to an existing partition and make it a single partition. Moreover, you cannot change the file system of a file without formatting the drive. MiniTool Partition Wizard is a free and easy to use partition manager which overcomes these limitations. You can literally do anything with your partitions on your hard drive. MiniTool partition manager is trusted by million of users and it has over 16,000,000 downloads on CNET. Here are some of the features the free edition of MiniTool Partition Wizard supports. You can expand or shrink any drive without reformatting the drive. You can align the partitions so that you can optimize the performance of your SSD or hard drive. You can recover lost or deleted partitions and rebuild your MBR table. You can convert disk type between MBR and GPT without data loss to support 3TB or larger hard disks. File system can be converted without formatting the drive. You can convert an NTFS drive to FAT32 and vice versa. You can migrate the whole OS to a new disk without any commands. You can copy a complete partition or whole hard drive and restore it later. These are the hardware requirements to run MiniTool partition manager on your PC. In short, MiniTool Partition Wizard is one of the most advanced, simple and easy to use partition manager available. You can download it from the link below. 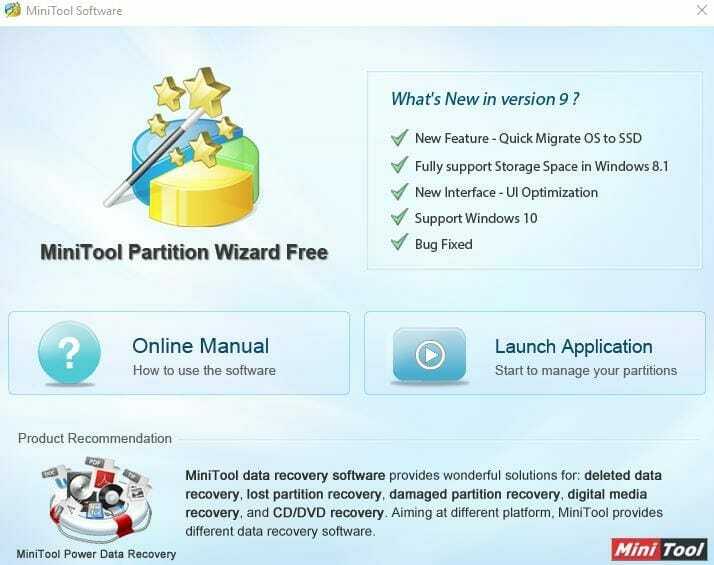 Download MiniTool Partition Wizard free.